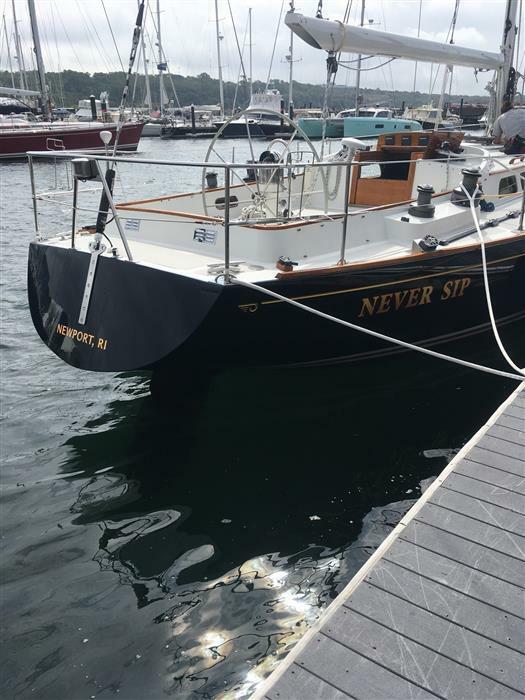 The Hinckley 42 “Never Sip” (ex “Whitecap” ex “Dragon Fire”) is a custom Sou’wester 42 modified with performance keel, taller rig, reversed transom and state­of­the­art construction that was conceived and marketed by Hinckley as the Competition 42. 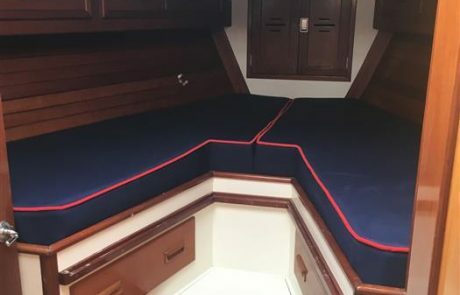 The standard Sou’Wester 42 hull shape was utilized and carefully re­engineered by the McCurdy and Hinckley design teams with the added collaboration of Doug Peterson who designed the new deep keel and semi balanced rudder. 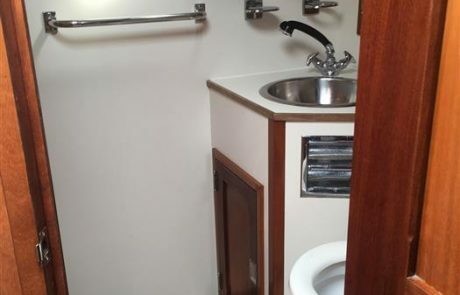 The result of this high tech collaboration was “Dragon Fire”. 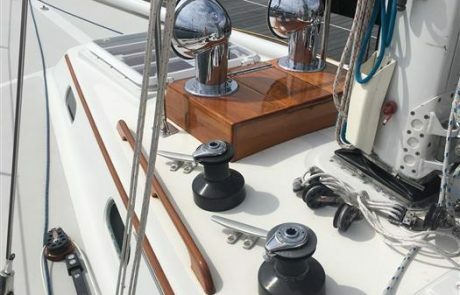 A faster, stronger, lighter and stiffer boat that turned out to be one of the most iconic and successful racing yachts ever built by Hinckley. 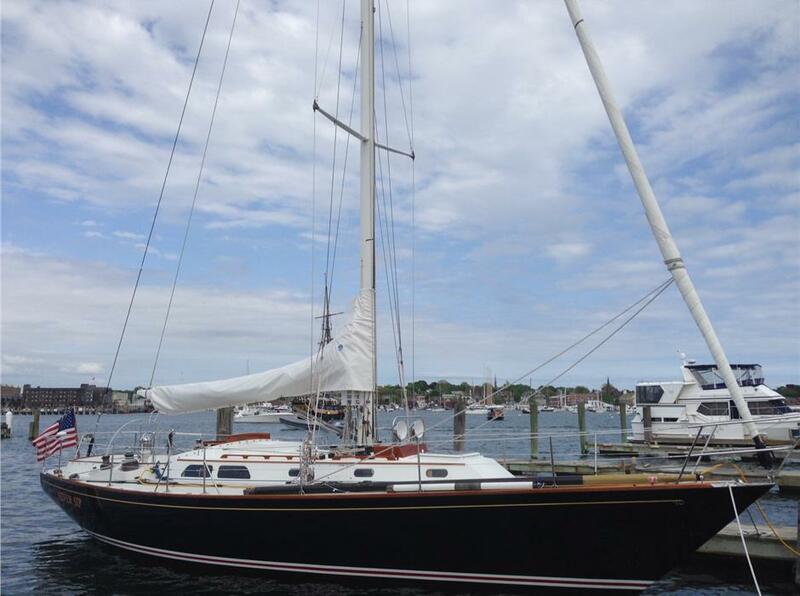 As “Whitecap” she continued her winning tradition and sailed as flagship for the New York Yacht Club for many years. 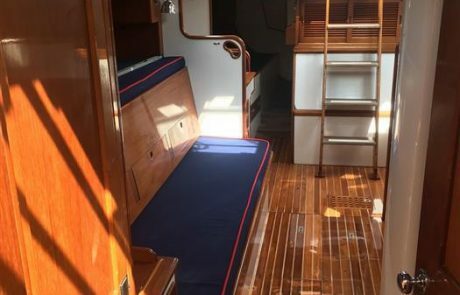 During this period she would be launched for 2 weeks each year and then return to inside storage at the Hinckley yard in SW Harbor. 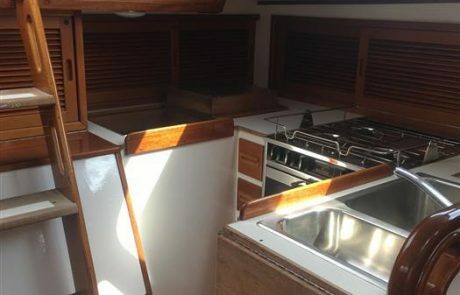 In 2012 her current owner purchased her. 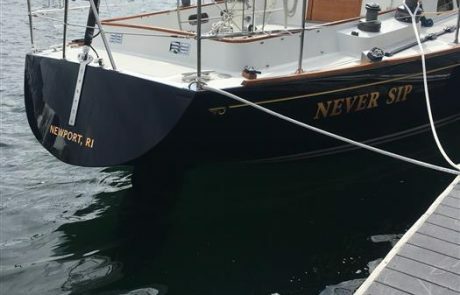 Renamed “Never Sip”, she has been lightly cruised and day sailed by a very meticulous and caring owner in Narragansett Bay. 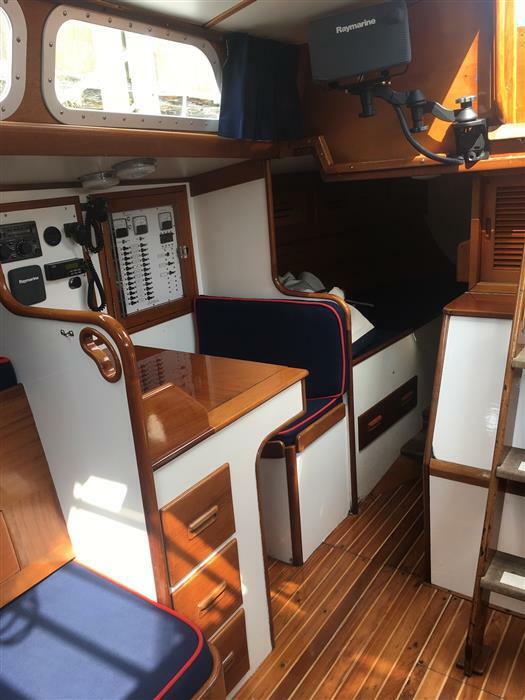 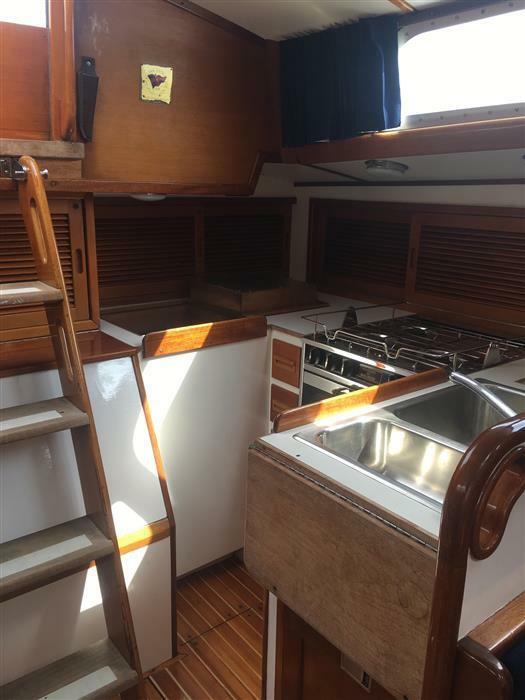 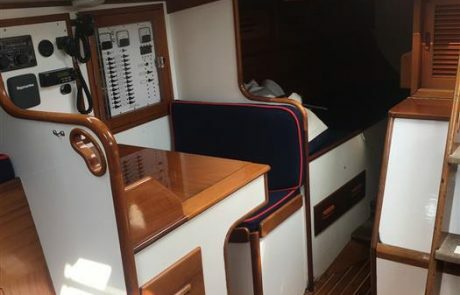 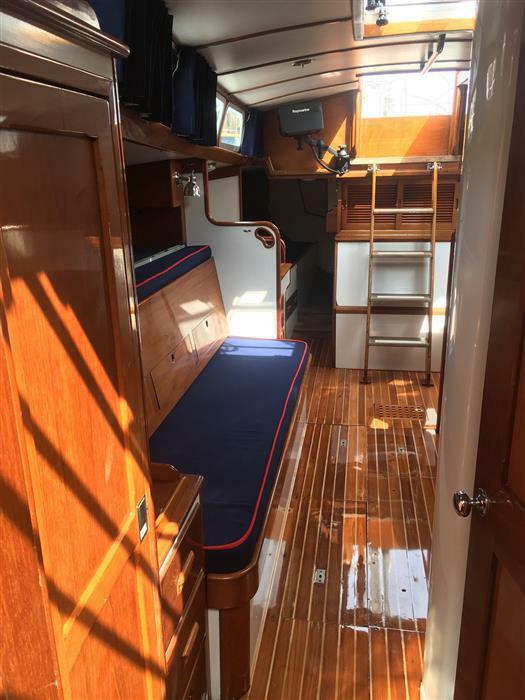 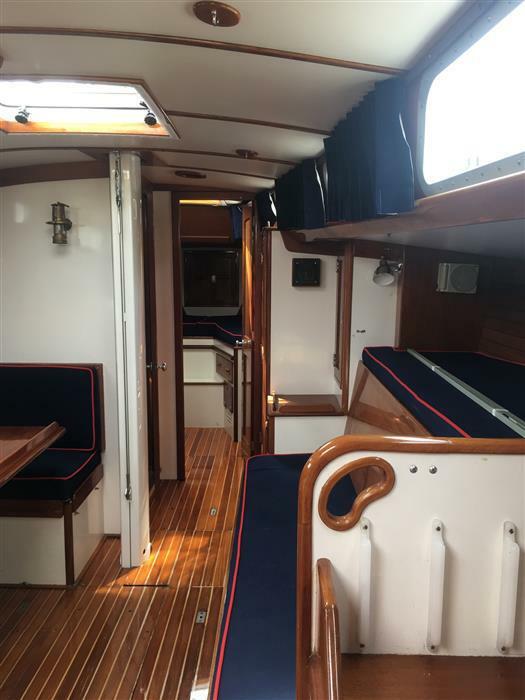 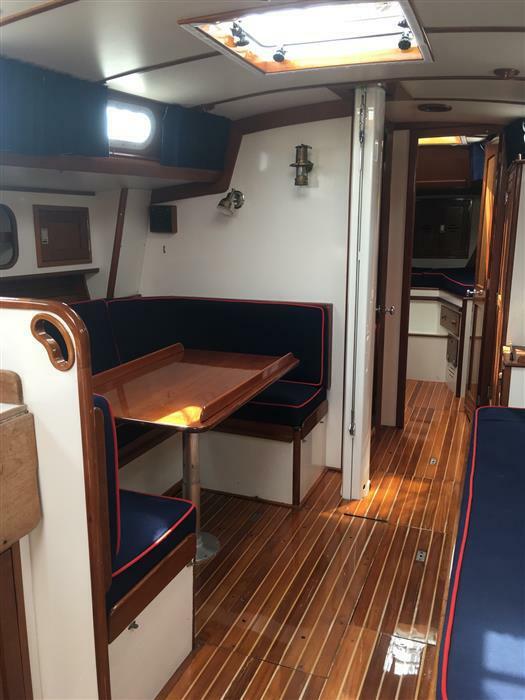 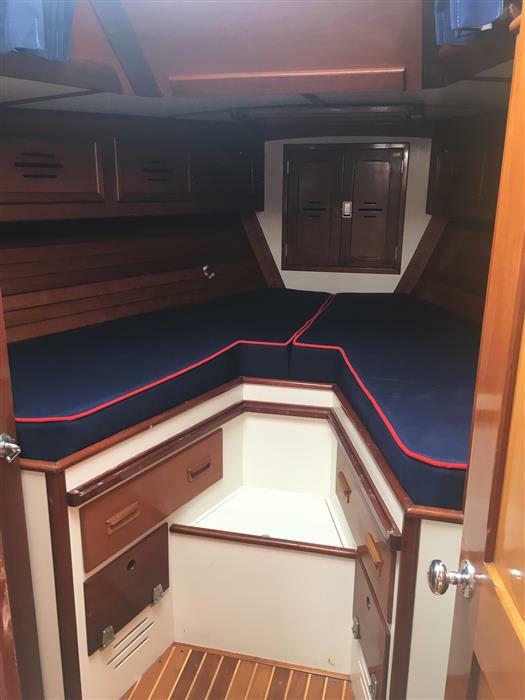 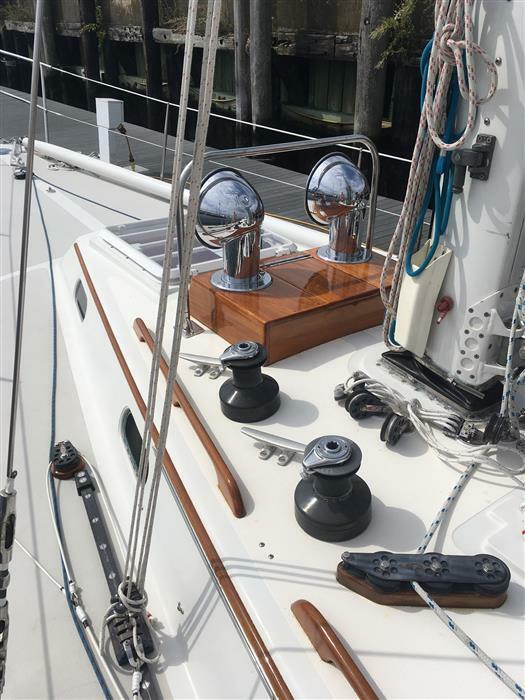 Never Sip sails easily to her inherent speed potential with fingertip helm control, she also has gentle manners around the dock that allow her to be cruised by a crew of two, or a family of seven. 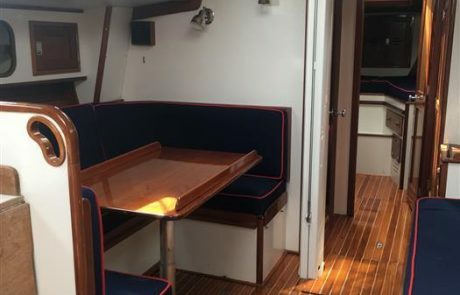 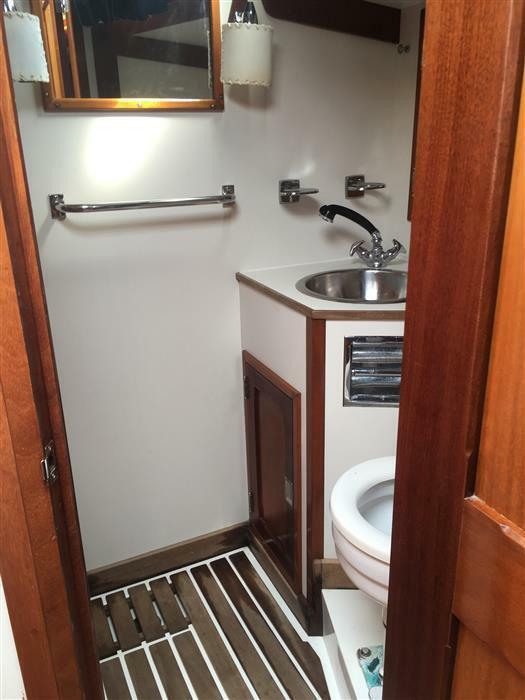 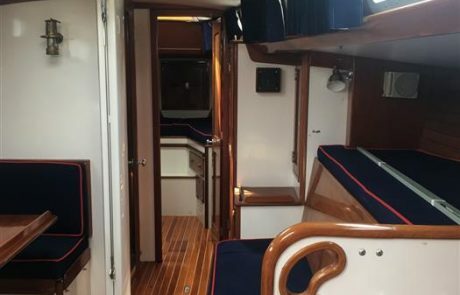 She truly is a dual purpose yacht that has been beautifully maintained and is only now offered to those who can appreciate the best.